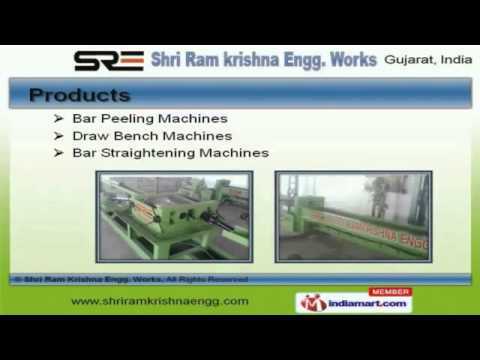 Welcome to Shri Ram Krishna Engineering Works, Manufacturer and Supplier of Bar Peeling, Straightening and Polishing Machines. The company was incepted in 1998 at Ahmedabad. Sound financial position and Cutting edge technology make us different from others. Maximum client satisfaction, longer functional life and highly skilled professionals make us the first choice of our clients. We offer a wide array of Bar Peeling, Draw Bench and Bar Straightening Machines. Our Section and Angle Straightening Machines are best in the industry amongst others. We offer Wire Straightening and Sheet Polishing Machines that are superior in performance. Shackle Pins and Bright Bars offered by us are acknowledged for their functionality. Along with that we offer King Pins and Round Bar Polishing Machines that are a class apart. We also provide Cotton Ginning Knife for Textile Industry that are available at industry leading prices.